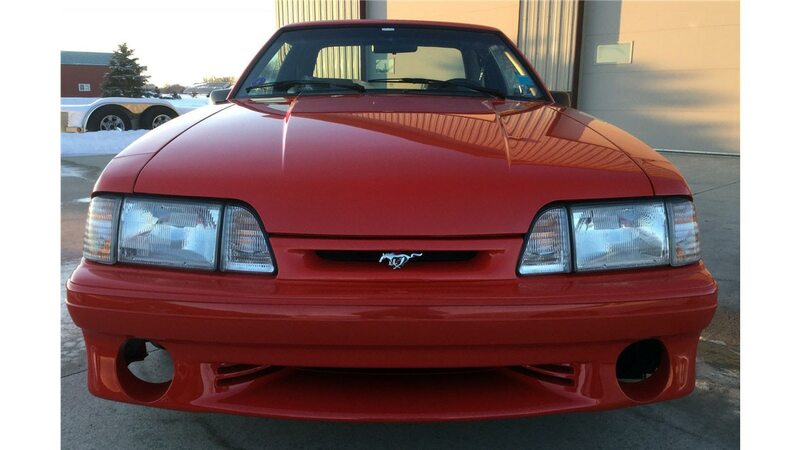 / Classic Cars / Will This ’93 Cobra R Be the New Priciest Fox-Body Mustang Ever? 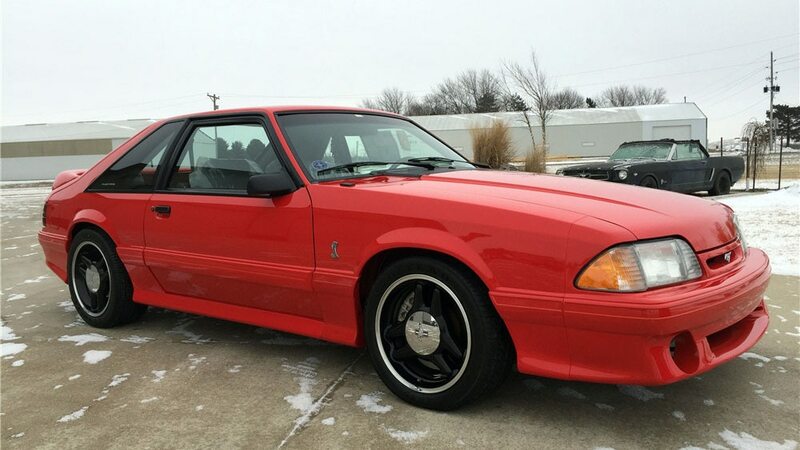 Will This ’93 Cobra R Be the New Priciest Fox-Body Mustang Ever? The current record-holder sold for a whopping $132,000. 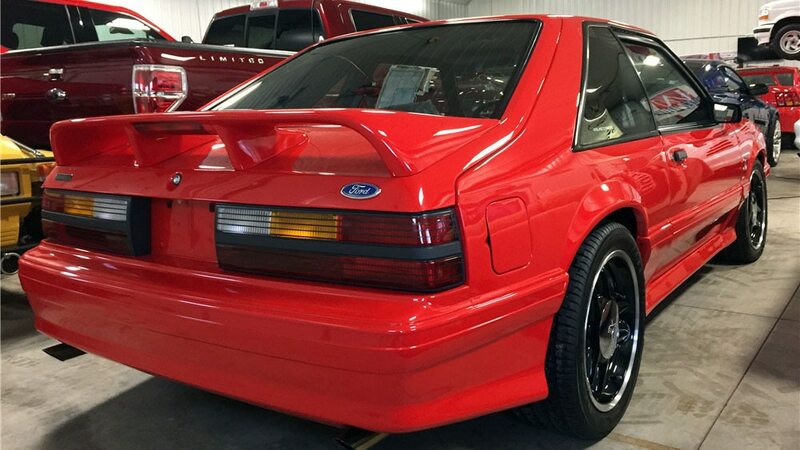 A 1993 Ford Mustang Cobra R sold for a spectacular $132,000 at Barrett-Jackson Scottsdale earlier this year, making it the most expensive Fox-body Mustang ever moved at auction. 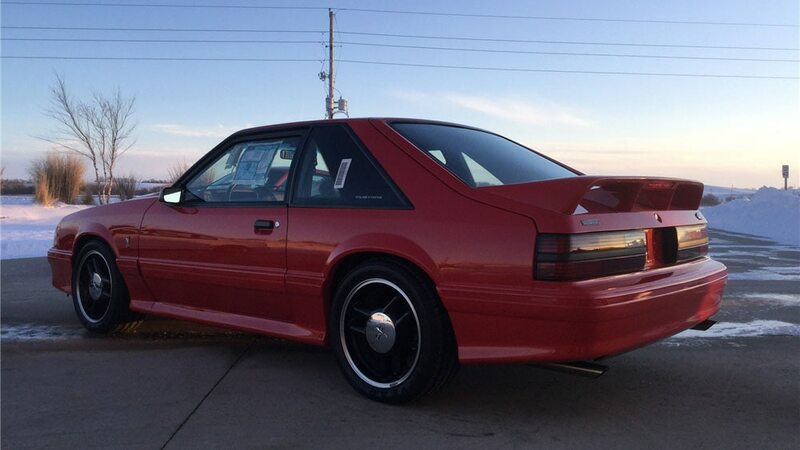 Now, a different 1993 Mustang Cobra R will hit the auction block at Barrett-Jackson’s Palm Beach event, and we’re curious to see how much it will fetch. The Cobra R is quite rare and was sold new only to buyers with professional racing licenses. The Palm Beach example is the 73rd of 107 copies made, while the other example was number 11. 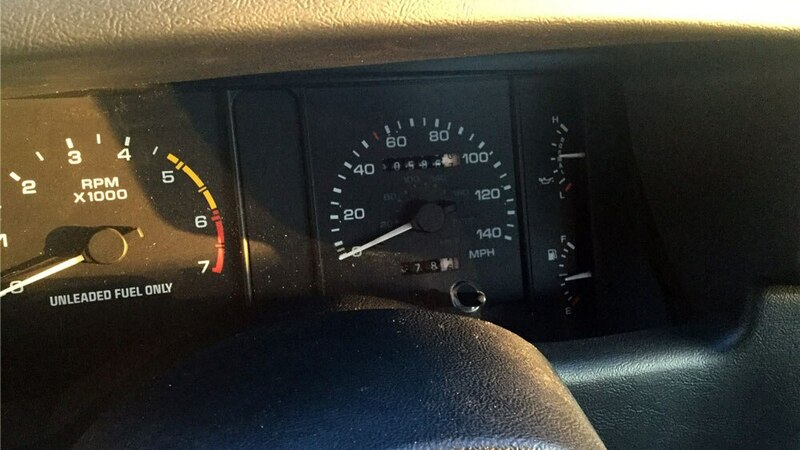 This car has logged just 589 miles, roughly equivalent to the 500-ish on the one sold in Scottsdale. Both claim two previous owners prior to hitting the B-J block. 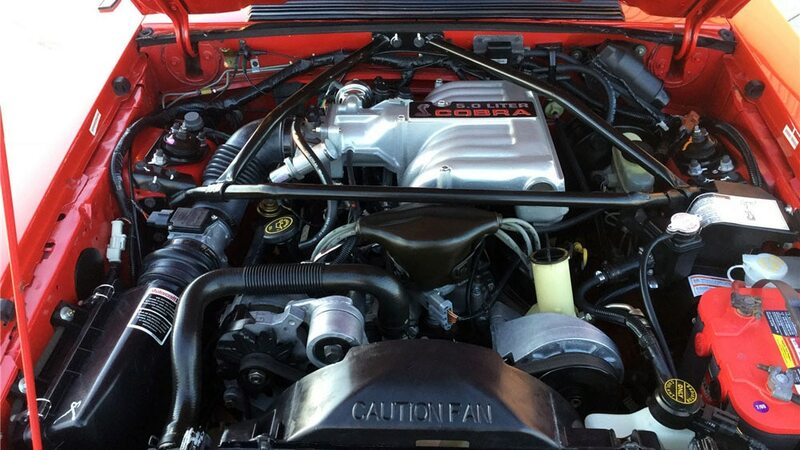 Under the hood of the Cobra R sits a 5.0-liter V-8 engine, paired to a five-speed manual transmission and producing 235 horsepower and 280 lb-ft of torque. The R Competition package brought adjustable Koni struts and dampers, gloss-black aluminum wheels, power disc brakes, an aluminum radiator with purge tank, and auxiliary engine and power-steering coolers. It also has a sport-tuned dual exhaust. 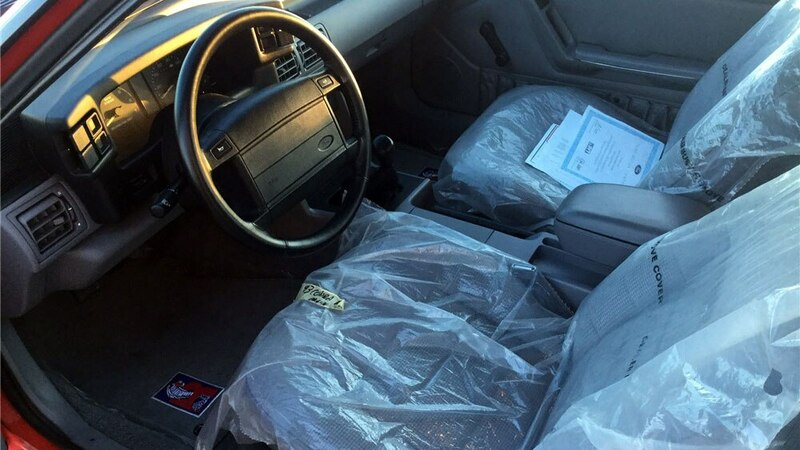 To save weight, it goes without a radio, rear seat, fog lamps, sound deadening, or air conditioning. 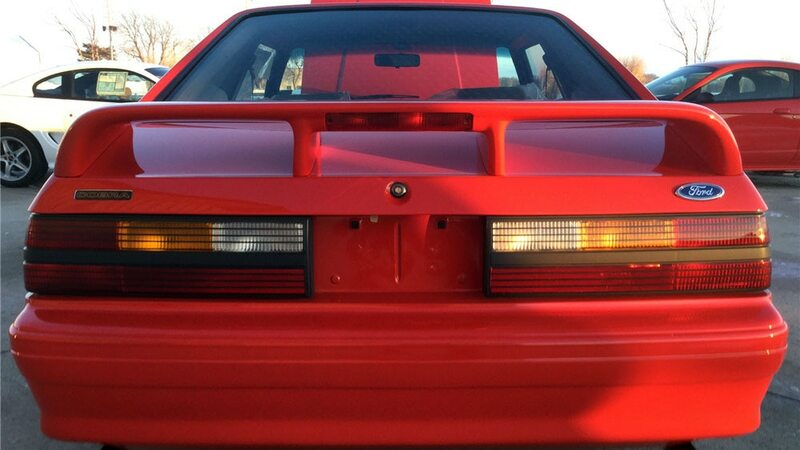 Will the Fox-body Mustang record jump up a notch? We’ll find out very soon. Barrett-Jackson heads into its second big event of the year, the 2019 Palm Beach auction, April 11-13, 2019, at the South Florida Fairgrounds in Palm Beach, Florida. The 17th annual Palm Beach collector car sale will showcase hundreds of coveted vehicles, and the experts from MotorTrend will be there to bring you all the action LIVE from the auction block. You can catch Barrett-Jackson Palm Beach on MotorTrend Network every day of the auction from 12:00–6:00 pm EST and download the app for exclusive, live coverage. Need more viewing options? You can also tune in to our live stream from your web browser on April 11, April 12, and April 13.